Monero Talk is proud to announce that we are media partner's at the NYC Magical Crypto Conference 2019 (https://bit.ly/2vc5yh4) & the Monero Konferenco 2019 (https://bit.ly/2Glvyf2)! 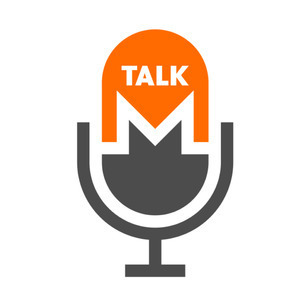 Monero Talk broadcasts weekly conversations with topical guests to understand what the Monero cryptocurrency is today and what it hopes to become. We strive to give birth to new Monero users by simply reporting on the facts in our search to answer the question--Is Monero the truest cryptocurrency of them all? In staying true to the Monero ethos, we aim to always be skeptical. While we are Monero Talk by name, and Monero devotees at heart, the intention of the show is to ultimately discover and support the one blockchain that is most aligned with the original cypherpunk and crypto-anarchist ideals that cryptocurrency was born from. And the one that is most likely to succeed at becoming true digital cash. So far, we believe Monero is the one. Respected (sometimes controversial) contributors and community members. Will Bitcoin ever have to raise the 21 million supply cap? Round table w/ Matt Luongo (Founder @thesis_co) & @brian_trollz (of @blockdigest) to discuss the pros & cons of Bitcoin's capped coin supply vs. other methods like Monero's disinflationary emission curve! We talk with Knife of Pi of the Cake Wallet Team on the new features they just added to Cake, like the icloud backup option. We also chat about Monero's upcoming March 9th Network upgrade. Public mining pools provide a service to miners, but they also reveal a lot of output information that observers can use to learn more about transactions. Sarang and Justin discuss the impact of these and ways users can optionally reduce their exposure to these risks. We talk with Jason Wong about the super simple zero configuration Monero Full Node he has created. Now anyone can purchase and run a full node with just a quick plug-in. What is Wownero and should the Monero community care about it? 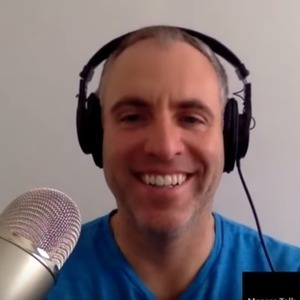 OpenBazaar & Monero a shared ethos w/ Brian Hoffman and Co.
We talk with Brian Hoffman and his OB1 team, Stevie Zollo & Mike Greenberg on why open marketplaces like OpenBazaar and digital cash like Monero are necessary to preserve open and free societies in this internet age. Information on when users run nodes, sync wallets, and send transactions can be used to learn more about Monero users. We discuss some of the network topography concerns and offer some ways for users to mitigate their exposure to timing heuristics.